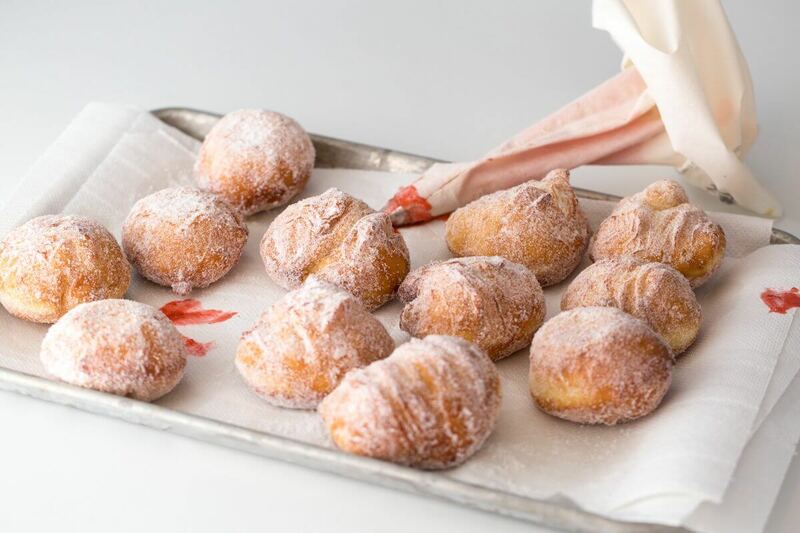 Making anything with yeast doughs requires a bit more commitment than regular baking. It’s not necessarily more difficult, but the dough generally requires 2 rising periods, each usually 1 hour long. So you’re easily looking at an entire day’s activity. But the final product is always worth it. Today I was craving some doughnuts. This recipe is actually surprisingly simple. All the ingredients get combined in the bowl of a stand mixer, and the machine mixes it. The (very sticky) dough then rises for 1 hour, you then divide it into 16 pieces, roll into balls, and then let rise again for 1 hour. There’s nothing more satisfying than a delicious, warm doughnut… specially knowing you made it yourself from wholesome ingredients. Nothing guilty about that.